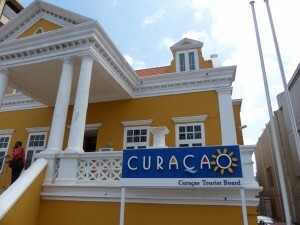 WILLEMSTAD - According to Paul Pennicook, the new director of the Curaçao Tourism Agency CTB, 2018 is a good year for tourism on Curaçao. The number of regular visitors has so far increased by 7 percent compared to previous years. The number of cruise tourists increased by 23 percent. That is what Pennicook announced recently. In total, the economic impact of tourism so far for the year 2018 is 974 million US dollars. Most tourists still come from the Netherlands, followed by America and Colombia. Pennicook was yesterday the guest speaker at the traditional end of year lunch of the Curaçao Business Association (VBC). He announced the figures during his presentation to the VBC members. According to director of the organization for hospitality and tourism CHATA Miles Mercera, a minister should be appointed especially for tourism. Mercera said that during the same end-of-year lunch yesterday. This year, lunch was organized together with CHATA. According to CHATA, there are several positive developments in tourism in Curaçao, such as the upcoming construction of various hotels. Nevertheless, an extra push is still needed. A special minister of tourism could give such a boost, thinks Mercera, for example when financing new hotels. Such a minister could also convince new investors to invest in Curaçao.